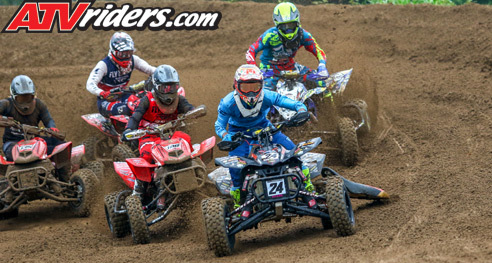 McKenzie, TN (7/25/2018) – Nine6Nine Motorsports’ Logan Stanfield finished third in his debut in the Pro Am class, and teammates Cole Wuellenweber, Alan Myers, and Zack Decker scored podium finishes during the AMA ATV Motocross National Championship races. 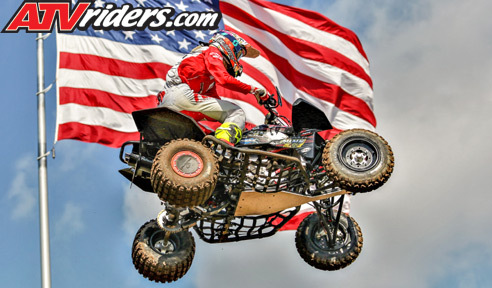 The events were held at RedBud MX in Buchanan, MI. After clinching the 450 A title at the last race, Stanfield elected to step up to Pro Am. He went 3-3 in his debut in the class, finishing third overall. In Open Pro Sport, he finished second overall and is now in a numerical tie for first in points. Rain throughout the weekend made for rough going on track. Stanfield’s Walsh Racecraft bike with Elka Suspension and Maxxis Tires, however, withstood the conditions and helped Stanfield earn the two podiums. Fresh off sewing up the Open C title, Wuellenweber set his sights on the 450 C championship. 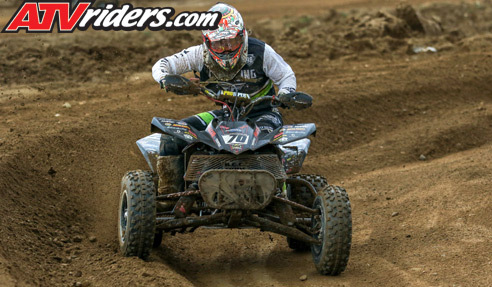 Wuellenweber finished third overall in the class, driving through the field in both motos to go 2-6. He’s now second in 450 C points and has to win the final round to clinch the title. Myers recovered from a back injury sustained at the last race to go 1-2 in Pro Am to secure a second-place overall finish. In the first moto, he snagged the holeshot, but lost his seat in the first turn. Despite having to stand the entire race, he finished a runaway first. In the second moto, Myers recovered from a difficult first lap to finish second. Decker also returned from injury and made a statement by finishing on the podium in the Youth All Star class. 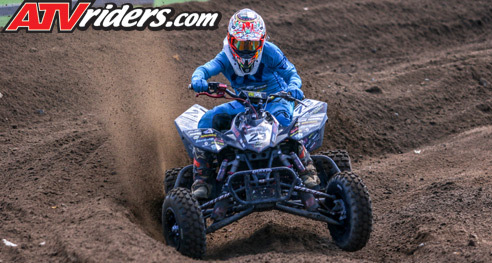 Though he crashed in practice in Friday, Decker came back strong and scored a 3-3 in the motos to finish third overall. He plans on running both Schoolboy Sr. and Youth All Stars in the season finale at Loretta’s. Nine6Nine Motorsports will be ready to finish out their dominant ATV Motocross season as the series stages it’s 2018 finale at the Loretta Lynn Ranch in Hurricane Mills, TN. The races are scheduled for August 11-12.